In case you were doing other things last night and, you know, have a life, here’s the news: Ben Affleck will play Bruce Wayne/Batman in the recently-announced sequel to Man of Steel, informally known as Batman vs. Superman. Reaction to the news has been…well, exactly as bad you might expect. Even though Affleck has officially revitalized his career with the Oscar-winning Argo, the stench of his career’s terrible second act has lingered on. Comic book nerds have still not forgiven him for Daredevil. Those who get enjoyment out of reminding people of their foibles (i.e., people on Twitter) still remember Gigli and Bennifer. As for myself, I’m still on the fence. I was a big fan of his early work – Chasing Amy, in particular – but I didn’t fall for Argo the way others did. I think he’ll be fine as Batman. He’s got a good chin, after all. But he is still an awful choice for Bruce Wayne, and here’s why. Bruce Wayne is supposed to be refined. He’s old money. He’s classy. He’s a socialite. Ben Affleck, on the other hand, has made his living playing working-class stiffs like Chuckie in Good Will Hunting, Doug in The Town, and Holden in Amy. Even Gigli, as bad as it was, at least understood its star ,trading on his working-class person by casting him as a cartoonish Mafia hitman. Next to Henry Cavill, who is inherently classier by way of being British, Affleck will seem even more pedestrian. At this point, you might say, “Hey, what about Michael Keaton?” True, the beloved Bruce Wayne of Tim Burton’s Batman movies grew up working class in Pittsburgh, and most of his early roles fit the same mold. I’m thinking of Night Shift, Gung Ho, and even Mr. Mom. But Keaton would prove to be a transformative actor who could even invent believable characters from other dimensions (Beetlejuice). A brooding millionaire was a piece of cake for him. Affleck might not deserve the criticism he receives from armchair online critics, but there is no one alive who would call him a transformative actor. He can play one very specific type of role pretty well, but every time he has tried to stretch, he has failed. 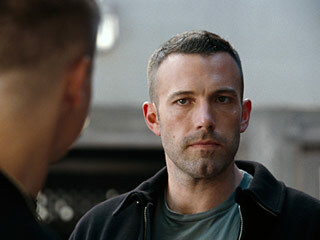 As good as Affleck could be as Batman, Bruce Wayne is probably too much of a stretch.